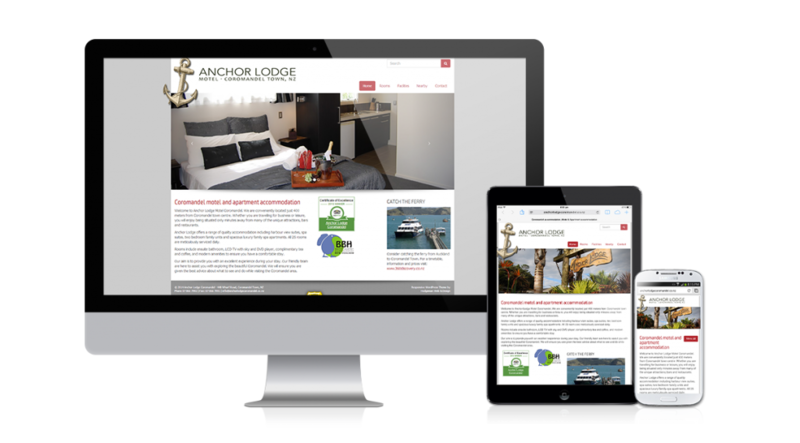 The owners of one of The Anchor Lodge Motel accommodation in Coromandel was referred to us from a colleague working in the tourism industry. They wanted to be able to easily edit the content and images use on the site, and to improve their rankings in the Google search engine result pages ‘SERP’. Their old site was ‘invisible to Google’ and as a result they were spending money with Google AdWords to get some search engine traffic and bookings. Being in quite a competitive market, in regards to search engine keywords/phrases, it was important to get them back into the organic search results.